When I first signed up for a cell phone in 2007, I didn't have much choice of carrier. If I wanted to receive coverage at my home, U.S. Cellular was my only option. I've grown to love my carrier, and I never plan on switching! I remember a party I had at my home a few years ago and one of the ladies said she was using her U.S. Cellular phone in an elevator. That was back when most phones couldn't get reception in elevators and people asked her what carrier she had because they were so impressed. U.S. Cellular has always treated me as a person, not a number. Obviously, a company is made up of humans, and humans make mistakes. When I switched to the Belief Plan a few years ago, the man who switched it forgot to put it through the computer correctly. Even though I was told I had unlimited texts I was charged over $20 for texts on my next bill. I was amazed at the ease and how quickly this got straightened out. When I called customer service, I received people located in the United States, and that's a huge plus to me! Whenever I go into my local U.S. Cellular store, I'm greeted with a smile, and the employees are friendly. It feels like a neighborhood cell phone provider rather than a large corporation. It's no wonder that U.S. Cellular was named a J.D. Power and Associates Customer Service Champion in 2012 for the second year in a row. In 2013, the company also received their 15th consecutive J.D. Power and Associates' award for "Highest Network Quality Performance Among Wireless Cell Phone Users In The North Central Region." U.S. Cellular carries a great line-up of devices backed by their high-speed network. I've been told they have the highest call quality of any carrier in the nation and I don't doubt that. I've traveled with my phone from Florida to Michigan, California to Texas, and the only time I've had call problems were one evening in Texas. I was roaming, so I blame that on another provider's towers. Also, if I am in the tube connecting an airplane to the airport, I have very poor data reception, but to me that's still fantastic to receive data in that metal contraption! I even had reception during the huge blizzard we were hit with as part of Hurricane Sandy. In fact, my U.S. Celluar phone was literally a life saver! My mother is on dialysis and a power line was down over our driveway. We had no electric so that meant we had no land line, and I was not just enjoying my U.S. Cellular phone, but RELYING on it to help us get out of the house so my mother could get the treatment she needed. 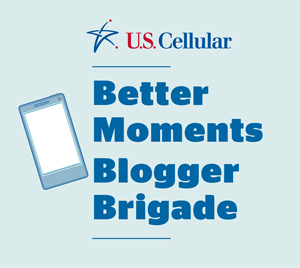 I love U.S. Cellular and I'm so happy they have asked me to be part of their blogging team. 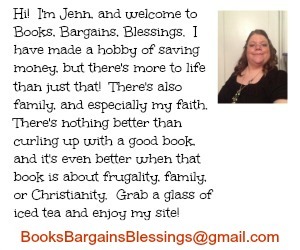 With no complains and me having been a customer since 2007, I can't help but sing their praises. My only question to you is, why haven't you switched to U.S. Cellular? It's rare I have such high praise for a company, and I think you will, too!